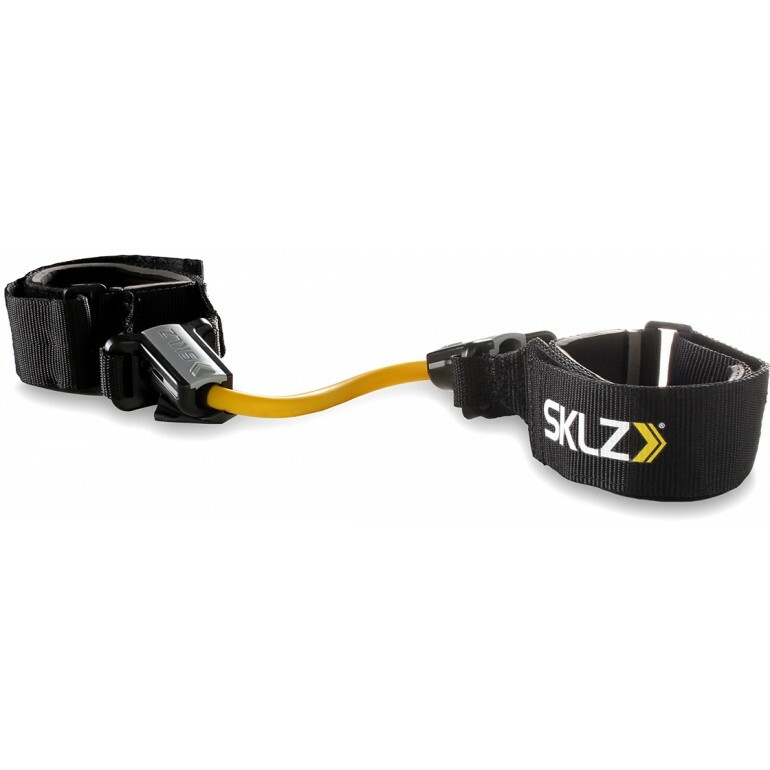 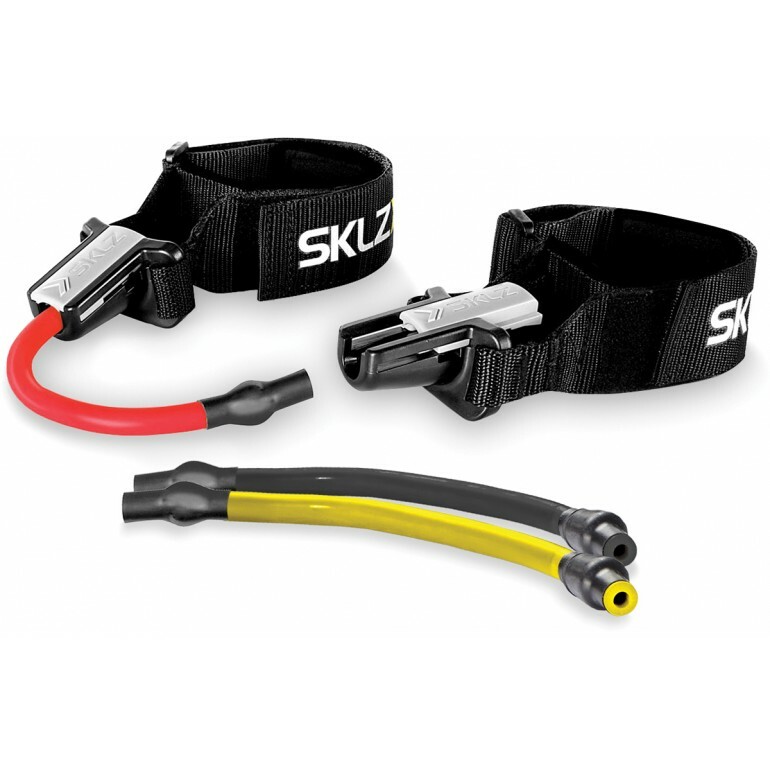 The SKLZ Lateral Resistor Pro helps to increase first-step quickness and lateral speed and is constructed with three separate resistance cables that combine with patented Slide-Lock technology for quick, safe switching between cables. 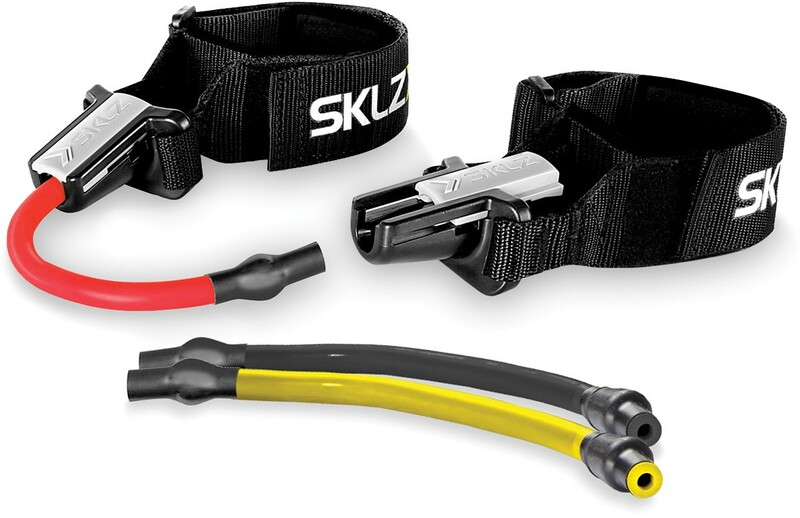 The three included cable resistance levels are light, medium, and heavy. 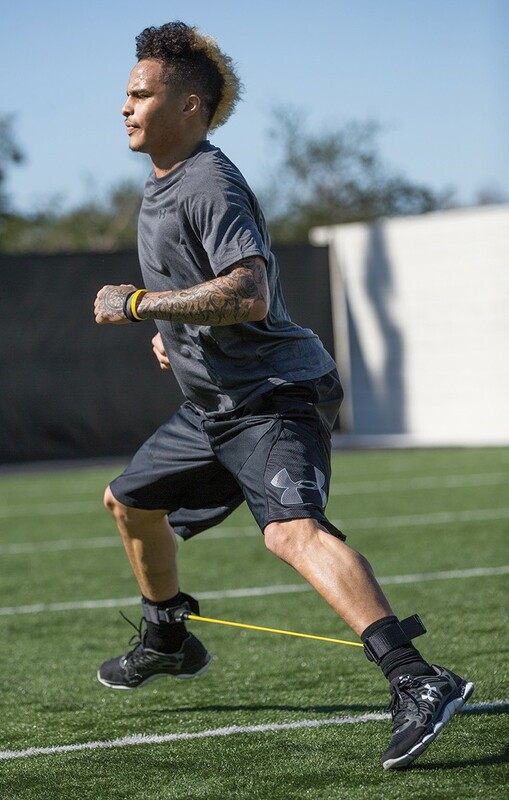 This training aid strengthens key muscles for fluid movement and proper body positioning.